We had an overflow of kids’ toys before Christmas. Now, things are out of control. New gifts and toys have flooded our house, and I feel like I’m drowning in battery-operated gizmos and gadgets. Even though I feel toy claustrophobia, I have a hard time getting rid of things. It’s a hoarder’s instinct. But I refuse to kick the New Year off with kid clutter up to my eyes, so here’s the method I’ve been using to get control over the past few days. 3. 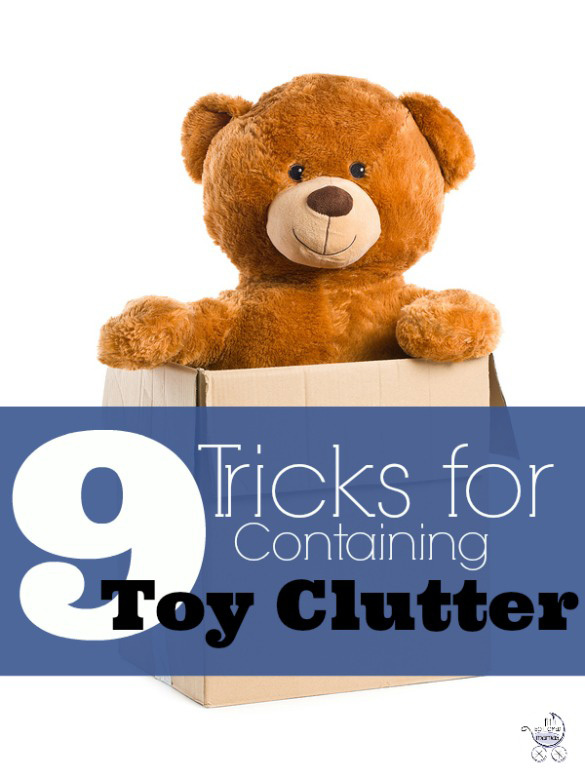 Store toys “temporarily.” Pack toys up for the basement or storage closet. Then, you can either swap out toys so that the kids get “new” toys every now and then or, most likely, forget about these extras and decide you’re fine to part with them for good. 4. Ask: Do you have multiples? How many dolls do you have? Do you really need a hundred trains? Most likely culling a few from the bunch won’t be noticed. 5. Ask: Is it broken? If something is broken or has missing parts, toss! 6. Ask: Is it annoying? Does it make annoying sounds or play annoying songs? Do fights break out any time this toy makes an appearance? This is an easy call. 8. Store like with like. Art supplies? Store them together. Keep puzzles in one place. Get a bin for cars or trains or blocks or character figures or Legos or dolls — and try to keep like items together as much as possible. It makes it easier for kids to know where to put them when they’re done playing, and it can help you see what’s being played with the most for the next purge party. 9. Donate or give. Knowing toys are being donated to a good cause or to someone who can use it can help assuage the guilt when you get rid of toys. Someone will get some good out of it!